Who we are - Mas Mechanical - Mechanical, auto electrical & airconditioning specialist servicing Mount Isa and surrounding regions. MAS Mechanical is a mechanical, auto electrical and air-conditioning specialist servicing Mount Isa and surrounding regions. 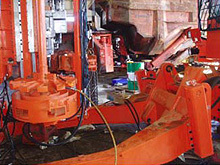 We have more than 20 years experience in the local industry specialising in the maintenance and fitting of large mining and industrial equipment as well as the service and repair of light vehicles. We are continually expanding our services and constantly exploring new opportunities to meet the changing needs of the industry and our customers. Our client portfolio ranges from the large international mining companies to smaller local businesses. 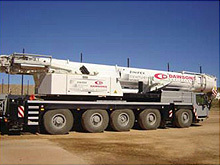 We are committed to delivering the same exceptional service to all our customers – large or small. We provide the highest quality workmanship and take great pride in the on-going training of our staff and commitment to work place safety. Our team is dedicated to providing excellent service for all your mechanical repairs and servicing needs. 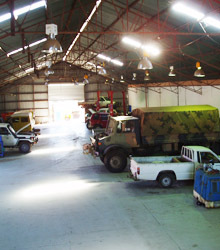 At MAS Mechanical, we have the capability to service and repair all types and makes of heavy and light vehicles, underground and earthmoving equipment. We have two well equipped Field Service Vehicles and two highly professional and experienced tradesman on hand to provide quick response times 24 hours a day, seven days a week. We also provide a wide range of parts for and are registered agents for Hiclone and North Queensland Batteries. And if we don’t have the part you’re looking for in stock, we will order it in. We are located within three hours of any mine site in the Carpentaria Mount Isa Minerals Province. We extend service to the Northern Territory. We provide 24 hour coverage. We have highly experienced staff specialising in the areas of hydraulics, electrical and mechanical. We have a large portfolio of mining industry contacts throughout the Carpentaria Mount Isa Minerals Province. 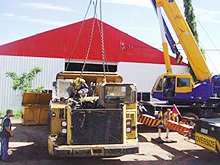 We have over 20 years experience in the local industry. Our employees are the heart and soul of Mas Mechanical – professional, dedicated, trustworthy and ambitious. We leverage our years of experience to bring you the highest quality service with dedication and detail. We work with individuals as well as companies small and large – all with the same personal service and commitment. We tackle obstacles with determination and grow with the challenges.